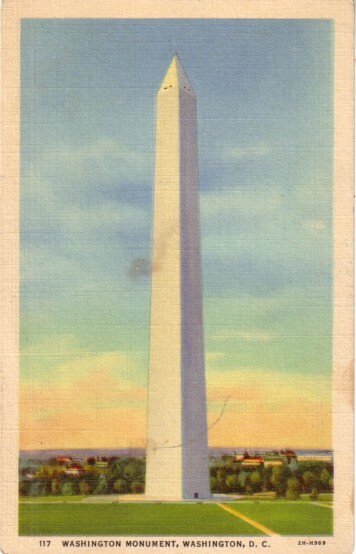 Original postcard of the Washington Monument from 1938 or before. Scenic Art Series, made by B.S. Reynolds Co. Written on in pencil and mailed (postmarked Sept. 7, 1938). Has minor to moderate flaws and wear. ONLY ONE AVAILABLE FOR SALE.